The Chimney House is an iconic Sheffield building in the Kelham Industrial Quarter – with its giant 93ft Chimney and cosy interior its really quirky. We love it – the staff are amazing, the location is beautiful next to the river and Kelham Island. 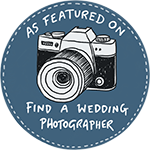 Helen & Paul are Lake District based wedding photographers. We love to photograph weddings in Sheffield too, and all over Yorkshire!